Attract Abundance While You Sleep! With this deep sleep hypnosis accompanied by a wonderful ambient soundtrack, you can rebuild your confidence and happiness from the ground up while you drift away into a deep slumber. 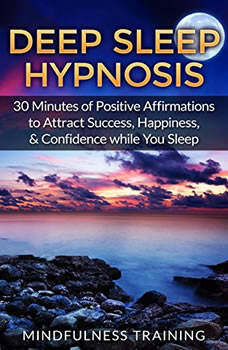 Filled with carefully chosen positive affirmations to manifest success and happiness, you can use this hypnosis every night! This deep sleep hypnosis script will help you: Instantly relieve stress Increase inner peace Achieve anxiety relief Practice mindfulness Build Confidence Increase Happiness Don't wait! Purchase your copy today and experience a mindset that serves YOU!